Group photo of the Summer School group 2018. 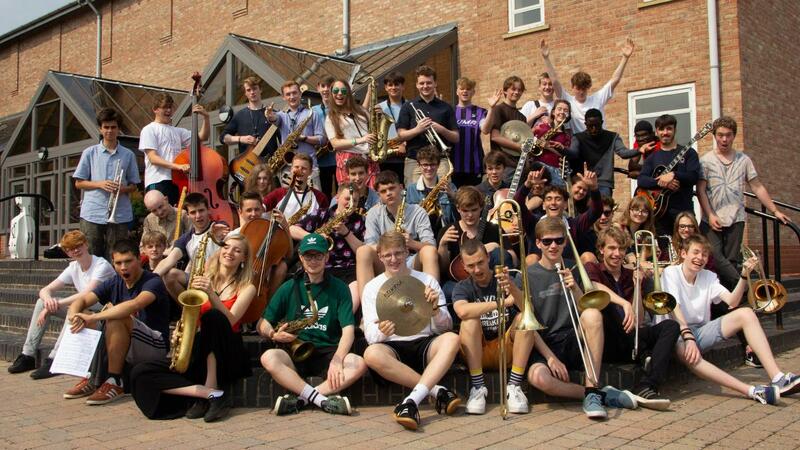 For 11 years now National Youth Jazz Collective (NYJC) has taken an Easter road-trip around the cities of England to audition gifted young musicians with an interest in jazz. The successful auditionees find their way onto a unique Summer School where 45 exceptional 14–18 year olds discover a group of peers that few knew existed. The effect of that is world-changing. For many it’s the first time they shake off the sense that they’re something of a freak, as so seldom do they know anyone their age with a passion for such imaginative and innovative music. Many have never heard the vernacular of jazz so meticulously explained or performed. Their tutors for the week are top professional performers, composers and bandleaders whose playing is as inspirational as their instruction. They have never talked so much about jazz, discovered so many new inspiring artists to research, nor heard of so many avenues of new possibilities for their own development. Their world lights up! Most uniquely though NYJC has striven to make sure that all of this is offered to students from any background, regardless of ability to pay. Since its inception in 2007 the organisation has offered bursaries to students from low income backgrounds so that no talent goes overlooked. 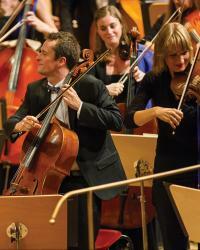 Auditioning is free and travel costs are paid for young musicians otherwise unable to get there. And thanks to the Leverhulme Trust this will continue in 2020–22 meaning that another batch of young people will find their way to Conservatoire and into the world of professional jazz: our proud achievement for 95% of all summer school graduates. NYJC also proactively addresses the gaps in uptake by young players. Our Founding Artistic Director Issie Barratt has been recognised in the BBC Power List of Top 40 Women in Music, for her work supporting girls and young women to break through the gender barrier so that our auditions attract more young female musicians and address their particular needs when joining our summer school. Thanks to her efforts young women like Alexandra Ridout rose to become BBC Young Jazz Musician of the Year in 2016 after joining NYJC’s regional activities at age 12. From learning the rudiments to developing a unique musical voice, NYJC is helping to ensure that no young jazz talent goes to waste. In 2017 NYJC won the Music Teacher Awards for Best Musical Initiative, recognising our vital role in filling a gap in the provision of education for this musical genre. Sadly – there is nothing quite like us offering support for young players wanting to compose and improvise in small groups – the way most jazz musicians make their living.